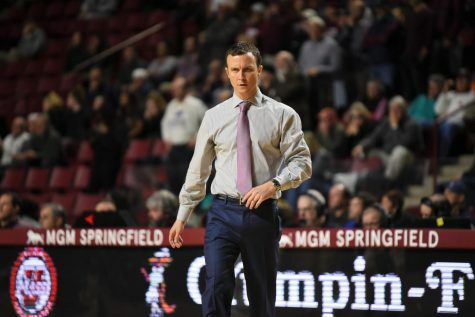 As the Massachusetts men’s basketball team prepares for its trip to Philadelphia to take on Saint Joseph’s Wednesday night, it won’t have to look much further than the opposite bench to realize the similarities they share. Last season was a redemption tour for the Hawks as they returned to the NCAA tournament for the first time since the 2008 season. 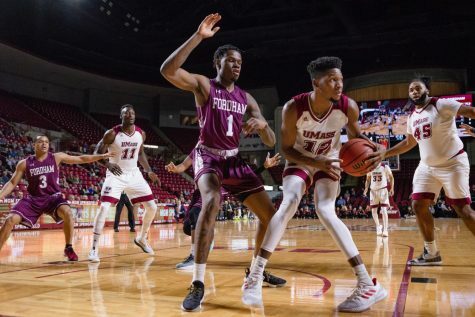 Similarly, UMass made its first trip back to the “big dance” for the first time in 16 seasons. 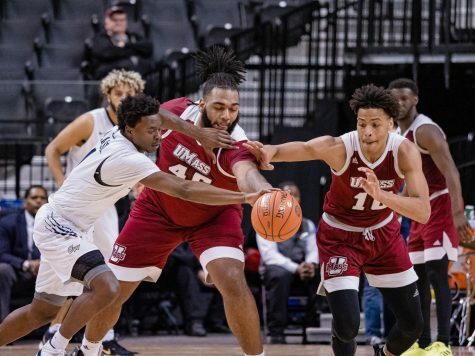 However, despite both teams making postseason appearances last year, the present has not been as kind to either of these two A-10 rivals. 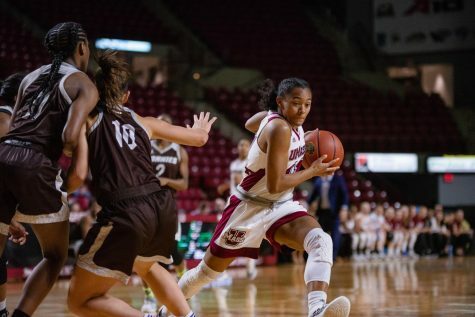 While the Minutemen sit at 10-8, with a 3-2 record in conference play, Saint Joseph’s enter Wednesday’s match struggling to tread water with a 7-9 record overall and 1-4 in the A-10. The first thing than many people will turn to when trying to decipher each teams’ struggles is the departure of high-scoring stars from each team. 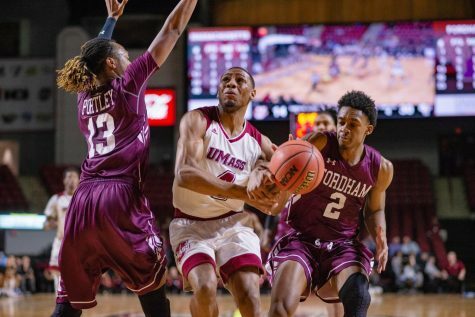 The Minutemen lost their leading scorer from last year in Chaz Williams (15.6 points per game) as well as starters Sampson Carter (10.4) and Raphiael Putney (8.8) to graduation. Williams also led the team with 6.9 assists per game and finished his career with 702, good for the top spot in program history. The Hawks lost their fare share of talent as well with the departures of three of their top scorers in Langston Galloway, Ronald Roberts Jr. and Halil Kanacevic. Galloway led all scorers last year with 17.7 points per game while Roberts and Kanacevic finishes with 14.2 and 10.8 respectably. Kanacevic’s versatility has been greatly missed as he finished with a team-high 149 assists and 8.8 rebounds per game. 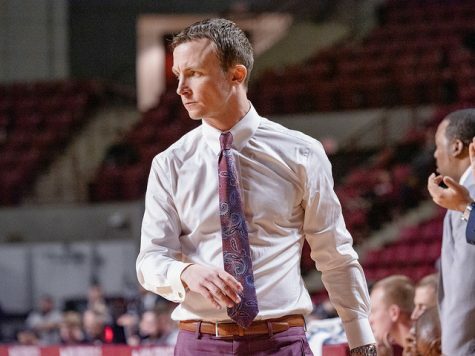 In addition to both teams laundry list of departures, each team has struggled this year scoring the amount of points as it did in the 2013-2014 season as Saint Joseph’s averages nine fewer points per game as a team (71.6 compared to 62.6). 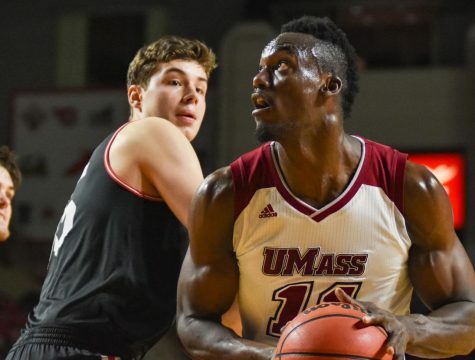 While the Minutemen aren’t down nearly as far, they still average 4.4 points fewer than they did a season ago (75.8 to 71.4). 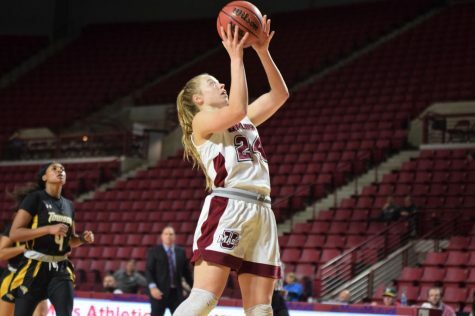 Saint Joseph’s field goal percentage is down over six hundredths of a point while UMass is shooting .18 percent lower than last year. Both teams’ assists totals have also decreased as well. Although the talent lost has not been on par with the talent received, both teams have had their fare share of tough non-conference opponents as well. 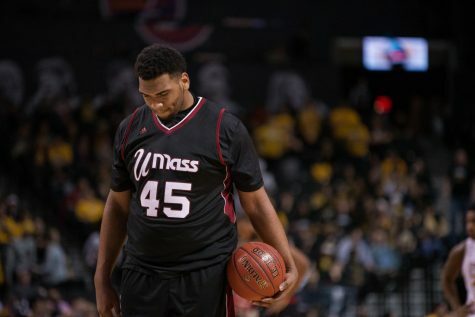 The Minutemen have lost games against Notre Dame, Harvard, Louisiana State, Florida Gulf Coast, Providence, and Brigham Young. The Hawks haven’t had much of a cupcake schedule either, dropping road games against No. 13 Gonzaga and No. 10 Villanova – both by 28 points or more – and a home game against Western Kentucky. 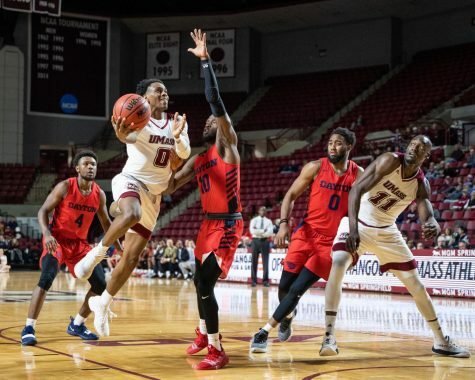 While both teams in Wednesday’s matchup in the City of Brotherly Love might have a similar track record, when tipoff rolls around none of that will matter and it’s just another A-10 conference game.